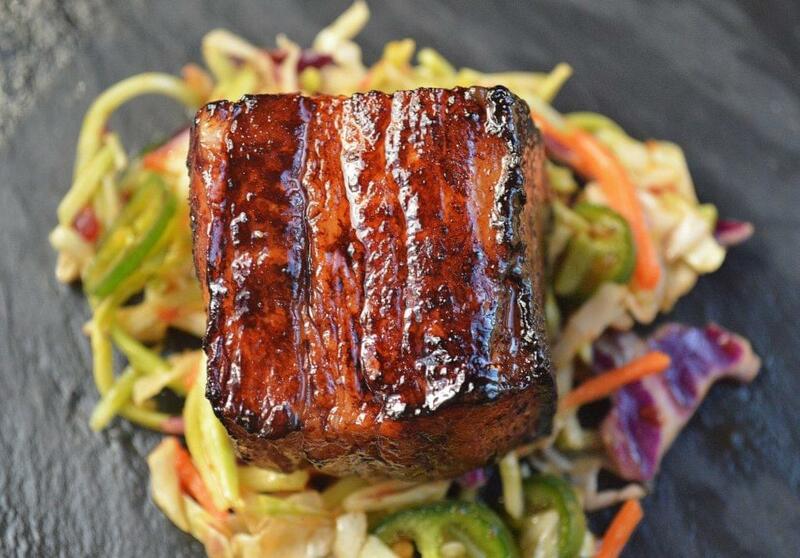 These Slow Roasted Pork Belly Bites over Jalapeno Slaw made for a a perfect Saturday night bite for my husband & I. We dug both the flavors and textures of the dish. I made these Slow Roasted Pork Belly Bites over Jalapeno Slaw for a Saturday night nibble with my husband while we enjoyed cocktails out back and watched the kids swim. I seasoned the heck out of them, marinated them, pan seared the cubes, then allowed the pork belly to slow roast in the oven for hours with just a bit of stock. Then I took them out, blotted them dry, added the reserved marinade to a pan and cooked them until bubbly, glazed and delicious. I used bagged slaw, threw in some thinly sliced jalapenos, tossed it with an easy dressing, then simply made small plates of it and topped each one with a pork belly bite. Then we feasted! 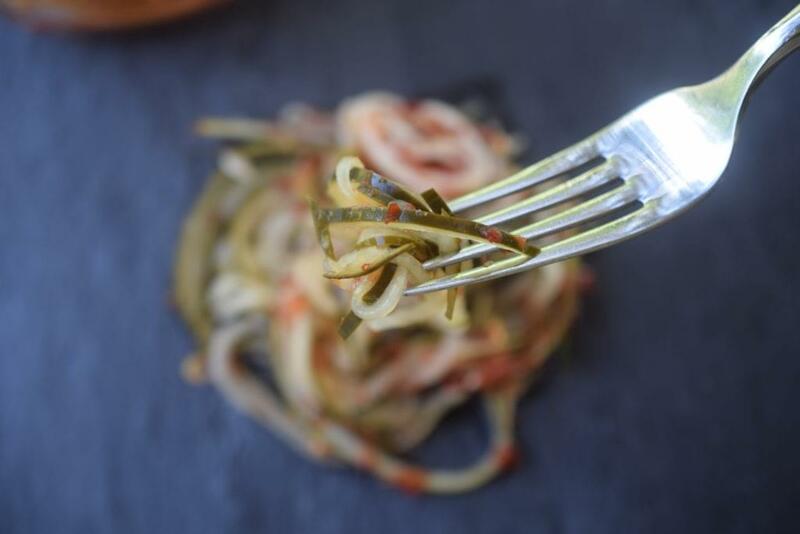 I have also served these bites over these Spicy Spiralized Pickled Cucumbers (ready in just a few hours).